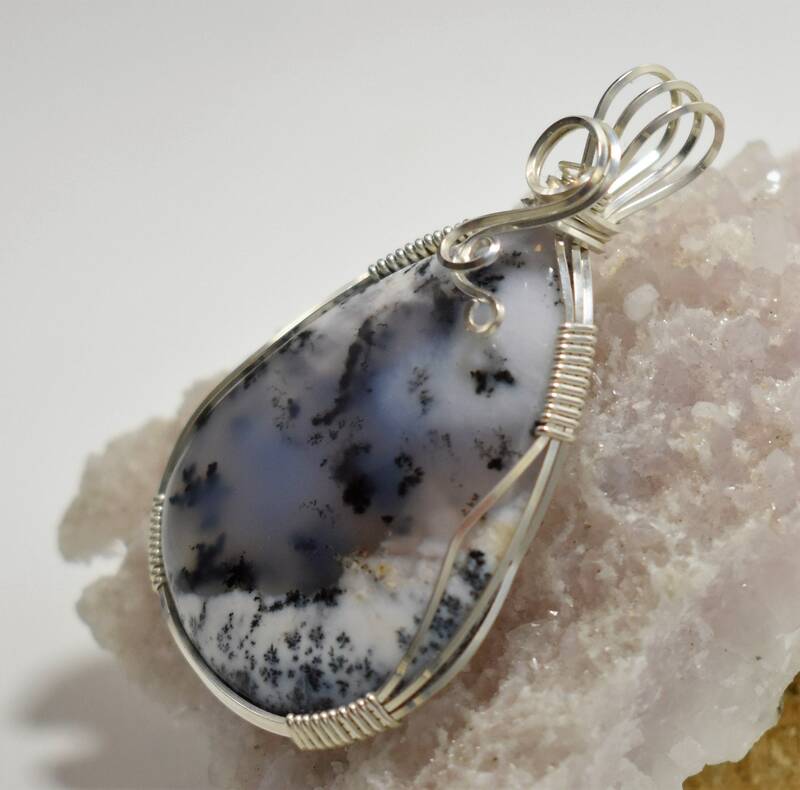 This Dendritic Opal cabochon from Turkey is absolutely gorgeous, with beautiful dendrites against a porcelain opal as well as a semi-transparent black agate (Merlinite) backdrop. 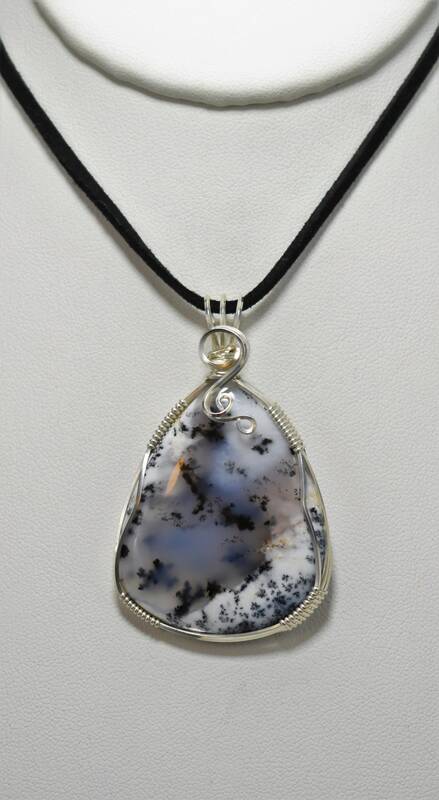 I wrapped it in .935 Argentium (tarnish resistant) Silver and paired it with an 18" black suede cord. 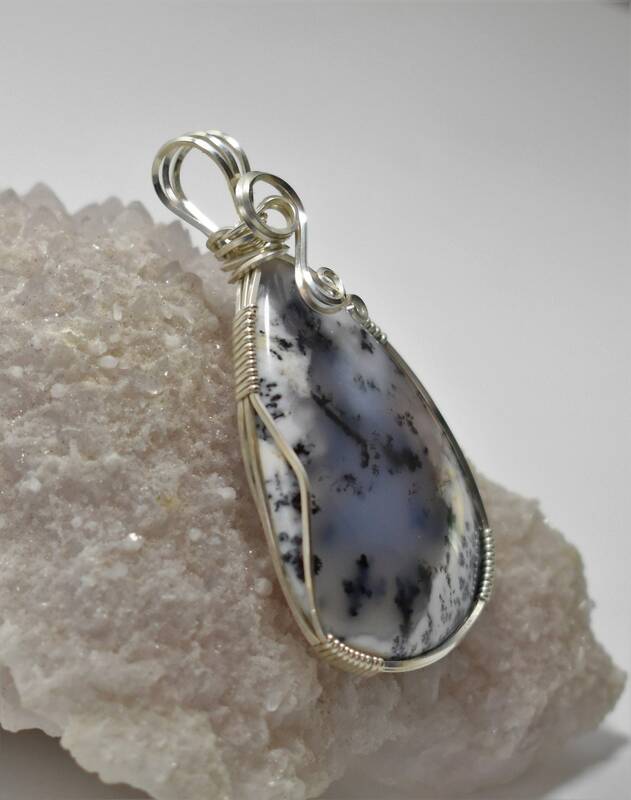 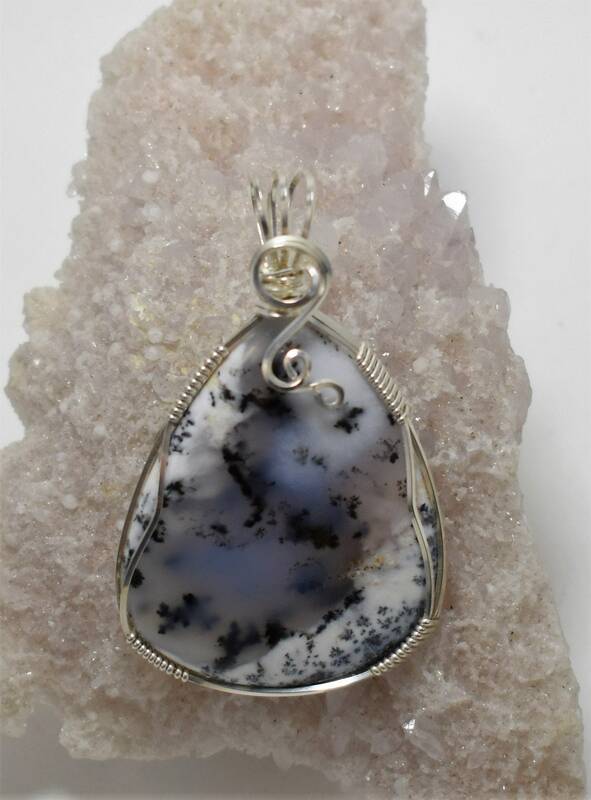 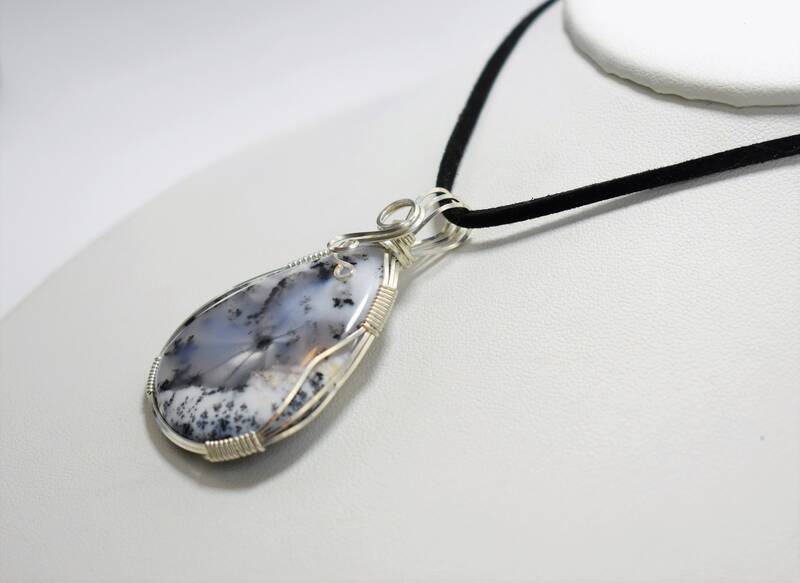 Dendritic Opal is helpful for building and maintaining meaningful relationships. 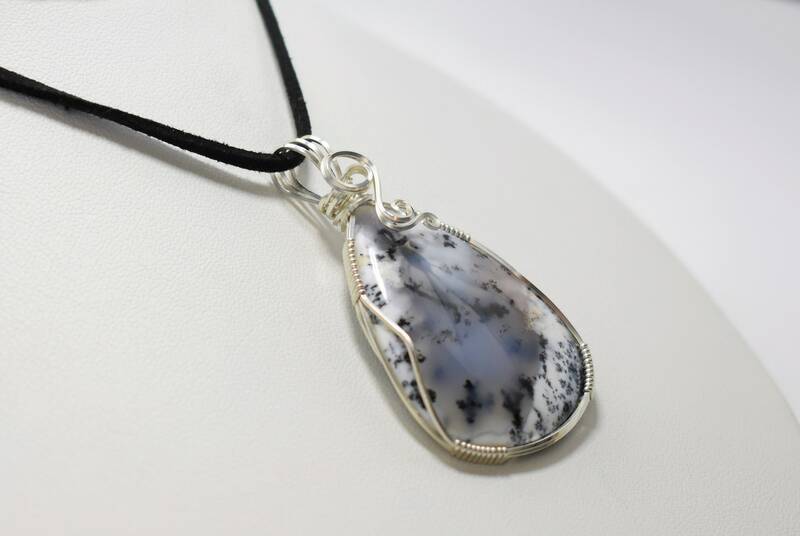 It helps create feelings of passion as well as comfort and bonding in a new relationship.